In Hoian, there are dozens upon dozens of cooking classes available and simply depending on preference should you choose which one to take part in. Some are drawn out into day-long affairs combined with a cycling, motorbiking or boating tour to fishing villages and huge herb gardens, while others are held in restaurants in town, with an abridged crash course that take as little as an hour. Do you want a rural setting or a class in town? A local house or a restaurant? Is a fresh market tour included? Do you prefer really getting hands-on, doing all the preparation yourself or demonstration style? Want to learn something that requires a more adventurous palate and dexterous culinary skills or the popular dishes? No matter what you choose, you will not leave hungry, it is one thing for sure. There are several of the strongest cooking classes attached to favorite restaurants. 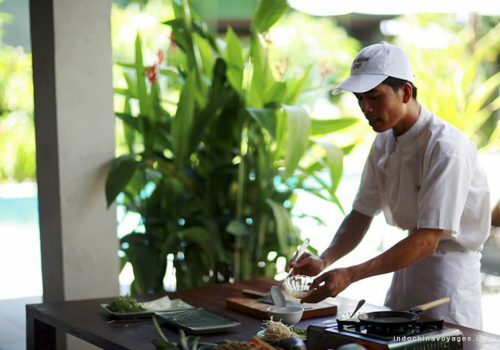 At the Ms Vy empire of eateries, there are cooking classes down to an art together with programs at Vy’s Market Restaurant & Cooking School and Morning Glory Restaurant – her longstanding restaurant. While you would like to highlight small enterprises, you also cannot negate that this establishment is a solid option and an organized, well-oiled machine. To kick it up a notch, there is a Gourmet Class with Ms Lulu at Vy’s Market Restaurant – this is tailored for skilled amateurs or chefs. This class goes more into the nitty gritty of Vietnamese cuisine, nutrition and culture before tackling a few awesome dishes not usually on the cooking class circuit such as stuffed squid with pork and fried wontons with crab meat. It will set each person for VND 990,000 (~$43). What to do in Morning Glory Cooking Class? Ms. Vy is the third generation owner to run the cooking school operating within Morning Glory and The Market, as well as both of these restaurants, and has done so now for nearly twenty years. At this school, there are four very different kinds of culinary experiences for all various levels of kitchen prowess offered, three of which lead participants from the market to mastering their own stovetops. 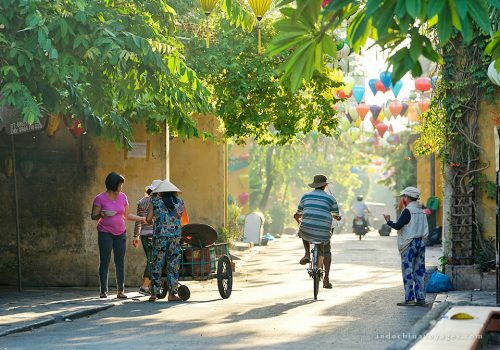 Hoian’s central market is an attack on the senses in the early morning. This center market is a raucous mix-up of color – the pale pink of a recently plucked chicken, the bright yellow of dried cao lao noodles, the blue scales of a fish, and of course, the bright and unmistakable green color of morning glory, the famous Vietnamese vegetable after which the restaurant, where some interesting cooking classes take place, is named. 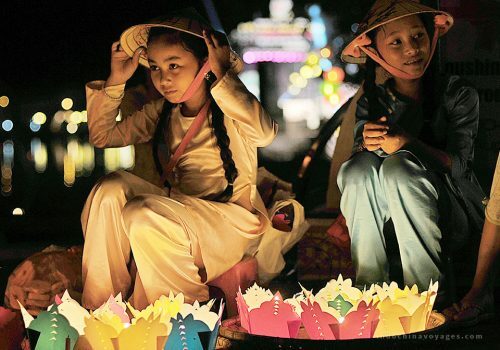 Hoian’s central market is mecca if food is your thing, particularly Vietnamese food. 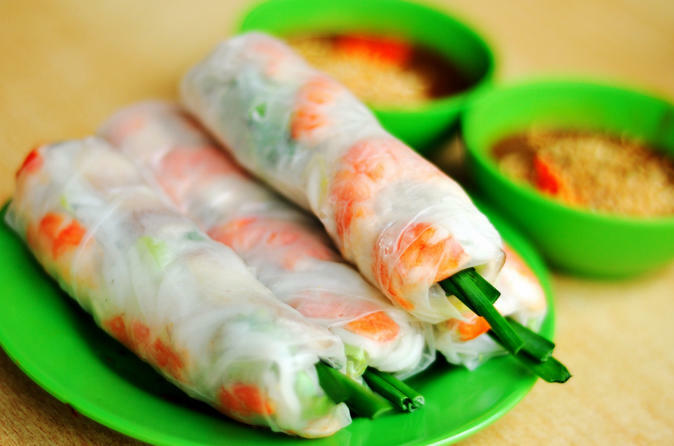 During your class, you will have an opportunity to prepare banh xeo – gorgeous, crispy pancakes local to Hoian, stuffed full of pork, spring onion, shrimp and bean sprouts, BBQ chicken and lime leaf, a traditional Vietnamese mango salad and cabbage leaf parcels with shrimp mousse in broth. Not only providing excellent, clear instructions for those who are not so light of hand, making sure that your dishes are very much your own, Ms Vy also finishes the lesson by handing out booklets detailing the recipes that your last few hours are devoted to, so that students could try to reconstruct their “artwork” in the safety of their own kitchens. The class will finish with all involved going down to the restaurant to enjoy the fruits of your labor with a cold Biere Larue, to exchange your favorite tips and destinations from your different paths. 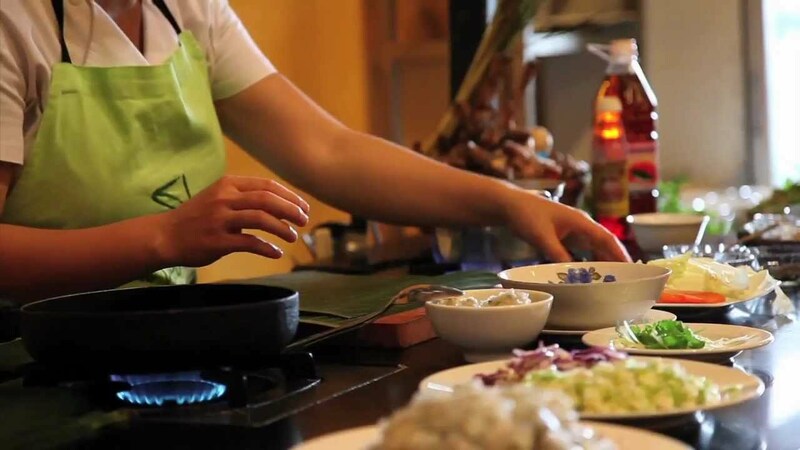 Morning Glory cooking class, where you are treated to personalized instruction from Vietnamese cuisine’s masters and have an opportunity to experiment with new flavors and textures to create amazing meals, should be an integral part of Hoian.